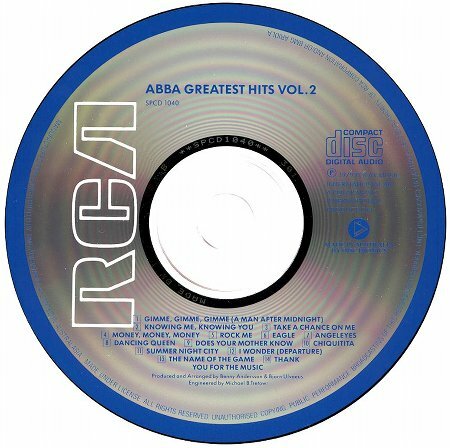 After years of inaction, RCA decided to issue not one but two Abba CDs in Australia during 1988 – The Best of Abba, which is discussed here, and Greatest Hits Vol 2, which was issued at the same time. 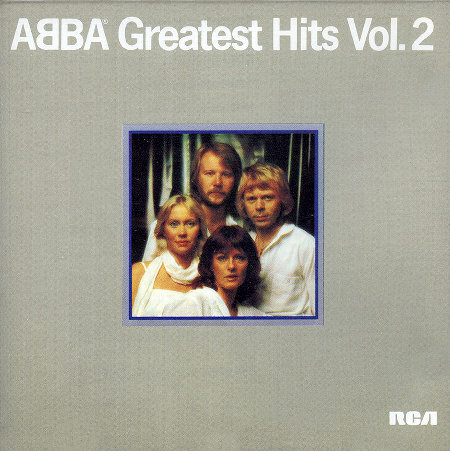 While releasing The Best of Abba was a no-brainer, Greatest Hits Vol 2 was a pretty unusual choice of title for CD release. The original LP had been released at a time of increasing apathy towards the group in Australia and had peaked only briefly within the Top 20. In addition, RCA had been importing copies of the European CD version of the album for the group’s small residual fanbase since 1983. Such imports never generated a sufficiently large volume of sales for it to appear to be worth producing a domestic CD edition. But it still went ahead anyway and in 1988 it ceased importing the European CD to clear the way for its own release. The difficulty RCA faced was that most of the target audience had already purchased the imported CDs. So, in an apparent attempt to make fans pay again, RCA tried to differentiate its release as much as possible by altering the colour of the artwork to light grey and placing a prominent RCA logo on the front cover. Unlike the European and US CDs of the title, which shared the same superb mastering, RCA decided that they would master the release from their own source tapes. The results were disastrous as the same mastering flaw that affected The Best of Abba hit this release, meaning that early copies omitted the start of most tracks. Later copies corrected the fault but the release never performed well commercially – selling just over 4,700 copies before being deleted when RCA lost its licence in 1990. Around €35 should be enough to secure a copy today but by sure to try before you buy! Besides the 2001 reissue of The Album, I reckon this has the clearest copy of the full length version of The Name Of The Game. Also my copy has the beginning of Rock Me and Angeleyes cut off.